Things are different if you are you planning a camping or backpacking trip in a remote location of a foreign country where access to clean and safe drinking water is a challenge. In this article we are answering your most common questions regarding water quality and how to make sure you avoid water-borne illnesses. We will update it with more questions we receive from our customers and readers. How can I tell if water is safe to drink? Unfortunately you cannot tell whether water is safe enough to drink just by looking at it. While the water may appear clean, there are plenty of bacteria and viruses that are not visible to the naked eye – so if you are not 100% sure it’s safe to drink, always filter and/or purify it before consumption. What is the difference between water filtration and purification? These terms are often use interchangeably. While the goal of both methods is providing clean, safe water, the difference consists in the type and size of microorganisms each method can remove. Water filtration uses a physical barrier (usually a some time of internal element or cartridge) to eliminate bacteria (such as E. coli, Salmonella, Campylobacter and Shigella) and other physical impurities present in water. Not many water filtration systems commercially available are able to filter out viruses, which are too small for most filters to catch. Water purification ( or disinfection) uses chemicals (such as iodine, chlorine), hydrogen peroxide, or UV light to inactivate or kill all harmful contaminants, including viruses Chemical water purification has some obvious disadvantages- chemicals added tend to change teste and some can even be harmful when ingested by mistake at higher concentration. A basic, safe, and inexpensive method of purifying your water is boiling it, but many times boiling water is not only inconvenient but not always possible. How long do you have to boil water to make it safe? Boiling water is a great way to kill most pathogens. Dirty water should be brought to a rolling boil and kept there for at least one minute while water at altitudes above 2,000 metres should be boiled for at least three minutes. If you have more time, boil your water for five minutes to be completely safe, then cool it down in a closed or covered container. What can I use to boil water if I don’t have a pot or a kettle? You can use a tin can or a glass to boil water. Some plastic bottles, will also survive boiling, but not the regular disposable water bottle. Simply suspend it by a rope or piece of string over an open fire with just the very bottom close to the flames. Other options include using bamboo, a hollowed out piece of word or even clay formed into the shape of a bowl to heat your water. If you are worried about putting these objects close to the open fire, you can also heat up a few stones in the fire and put them into the water to boil. What is the best source of drinking water? Tap water is the best source of drinking water at home, unless otherwise stated by local authorities. While backpacking or camping, there are plenty of ways to get fresh water outdoors, such as from rivers, creeks or lakes. Always opt for running water and avoid stagnant water where parasites and insects may lay their eggs. Flowing water may still contain some of these harmful contaminants so be sure to boil , chemically treat or filter any water before you drink it. Where can I get water from if there are no water sources nearby? If you are camping or backpacking in an area without any rivers or lakes, you can get water from another source, such as from plants that store water for survival. These types of plants include moss, coconuts, and vines. Avoid water stored by cacti as this can dehydrate you more. Is boiled creek water safe to drink? Yes, provided you retrieved the water from a flowing source and you boil the water for at least one minute. Can I drink sea water? No. Drinking salt water will cause you to become even more dehydrated. How do I make sea water safe to drink? But you can make sea water drinkable by using a solar still. This uses sunlight to evaporate and to separate fresh water from the saline to make it safe to drink. How can I filter water if I don’t have any purification equipment? If you don’t have proper filtration equipment while camping or backpacking, you can use a clean garment of clothing, such as an unused sock to filter the larger particles of dirt from the water. Always follow this up by boiling the water. Another alternative is using water purification tablets to remove any pathogens. How do I kill E. coli in my drinking water? You can get rid of E. Coli in your drinking water by boiling your water. All purification methods listed above will also make your water safe by eliminating E. Coli. Can I use sunlight to purify my water? Yes, sunlight is another source for water purification and can kill 99.9% of pathogens. However, this can take some time. Fill a clear container with water and leave it lying on its side (preferably on a reflective surface) in the sunshine for at least a day. Water purification tablets contain an active ingredient, such as chlorine or iodine that deactivates the bacteria, viruses and other contaminants that may be in the water. Iodine kills bacteria by disturbing the ionic balance within the pathogenic cells. The iodine replaces the chemicals that the bacteria need to survive with iodide ions. Is drinking water with chlorine in it bad for me? 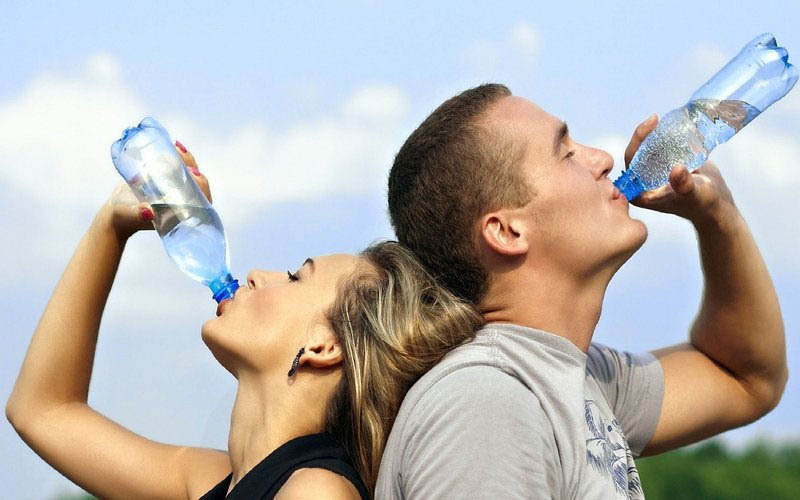 Chlorinated water does not have any dangerous health effects, provided it’s consumed in moderation. The main negative effect is that it has an obvious taste and smell. Why does my water taste bad and how can I fix it? If you have used chlorine or iodine to treat your water, it’s likely your water will taste strange. You can fix this easily by aerating the water by transferring the water quickly between two containers or by adding vitamin C or neutralising tablets to get rid of the bad taste. Do you have any other questions about water quality? Ask us in the comments below.